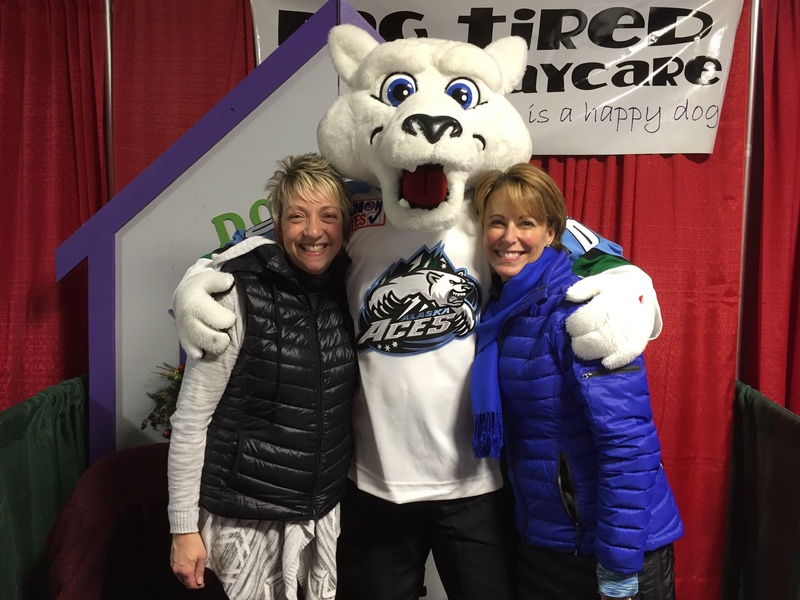 The Alaska Aces Pets R People 2 event was a huge success. 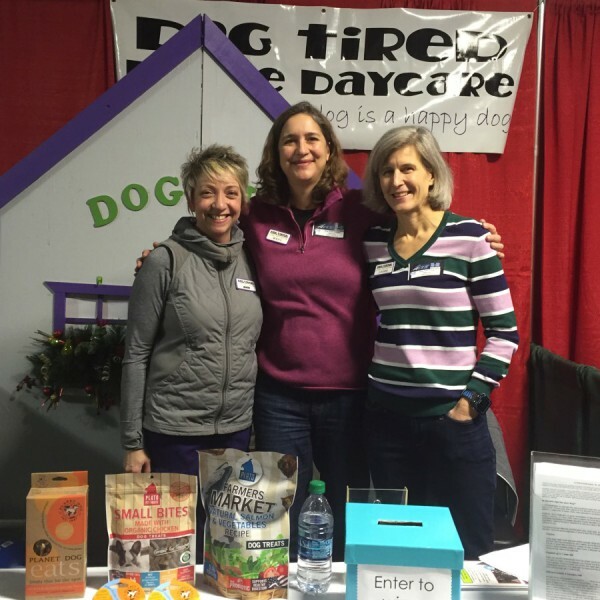 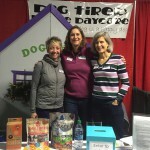 Dog Tired Parent Association members and staff were on site to share information about doggie daycare facilities and mental stimulation games/toys you can use to exercise your pups at home. 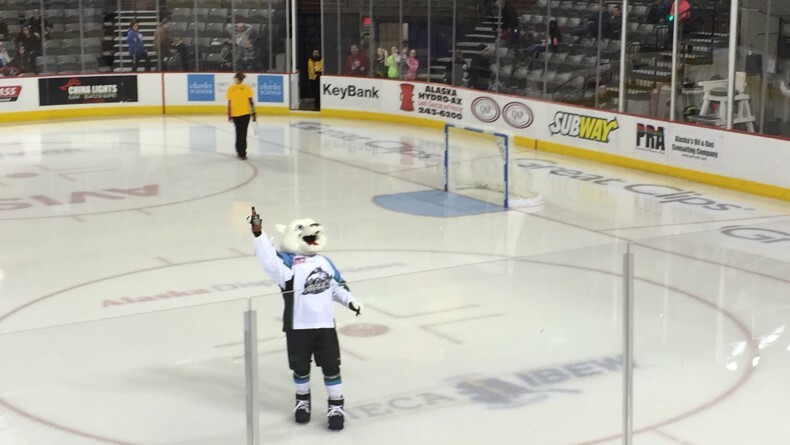 The Aces mascot, Boomer, was at our booth and also gave away toys on the ice during intermission, sponsored by Dog Tired.